Having your home insulated is a great way to save money on monthly power costs since it is a brilliant solution for retaining optimal temperatures in your home. 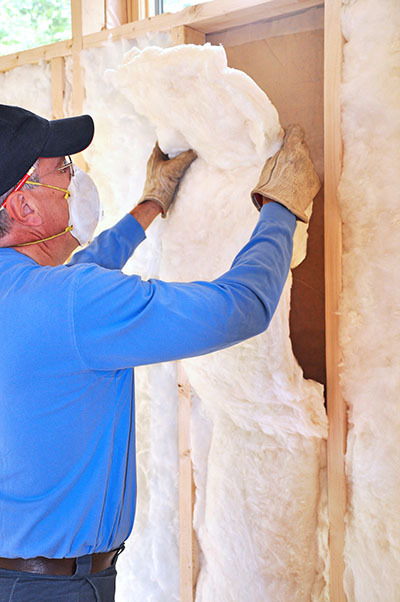 There are of course, many different ways in which one can go about this, yet it is always recommended that it is done with the assistance of an experienced technician who is skilled at providing insulation services to homes. A great deal of your households electricity and fuel bills come directly from the task of maintaining temperatures in your home. Insulating your home will greatly reduce the amount of energy consumed in this task by better holding these temperatures in your living areas. In doing this, you would drastically reduce your home’s carbon dioxide emissions, meaning that you are not only saving money, but doing your part for the planet and global energy crisis as well. Studies suggest that the average home loses around 33% of its heat through the walls, making this channel the largest source of temperature loss. Residential insulation for the walls of your home is there for one of the most effective ways to manage your power costs. Should the time come that you wish to move, renovate or simply reapply new insulation, removing it is as simple as picking up the phone. Whether it is in the walls, the attic or the ceiling, removing and reapplying it is a simple task for our team! So if you are looking to take advantage of the greener benefits of insulating your home and better managing your power costs. Give “Air Duct Cleaning La Habra” a call today for further information about our services. Call us for advice or ask for a quotation. Our team is waiting for your call.